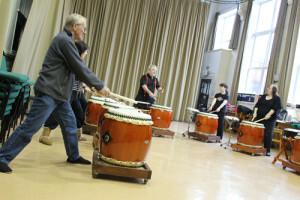 CCS Taiko’s drum workshops are available to people of all ages and abilities. 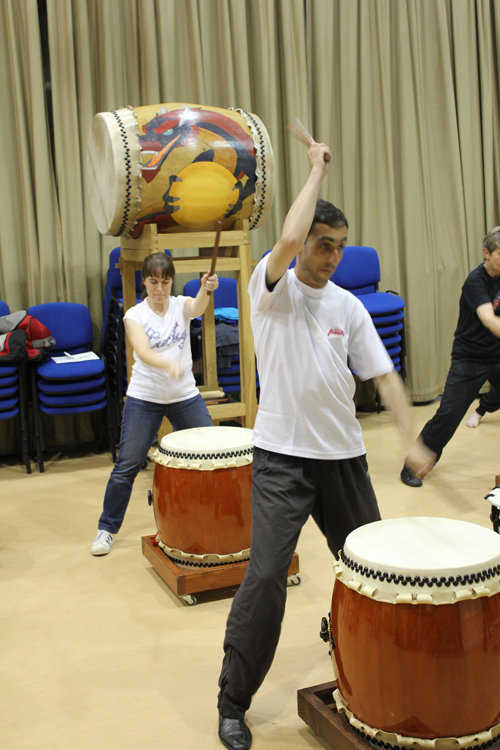 The physical and rigorous nature of Taiko makes it a great alternative to keep fit or excercise classes, and the confidence-building and focus on teamwork makes it perfect for organisations looking to create a strong and motivated workforce. Taiko workshops are transformational. Participants will often surprise themselves, changing the way they feel about their own potential, their colleagues and the team as a whole. The main aims of Taiko are to create an environment of achievement and success, and most importantly, to have fun! The venue is close to Gloucester city centre and has ample on-site parking. Regular bus services also stop nearby. Hour 1 (9:30 – 10:30 am) Warm up – Basics, Kata & Drills – Perfect for beginners or more advanced who want to go back to basics and improve those core skills. 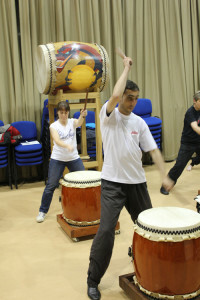 Hour 2 (10:30 – 11:30 am) Warm up plus Practice of Pieces – Beginners, Intermediate and Advanced levels all welcome for this hour and it is where beginners really feel the benefits and pleasure of Taiko, having mastered those first few core skills beginners will accomplish playing an entire piece of music with the whole team. Hour 3 (11:30 am – 12:30 pm) Rehearsal Time For intermediate and advanced players only. This hour focuses on perfecting those performance skills. Even if you have never picked up a drum stick before, come and have a bash! Taiko sessions can also be held at your school or workplace, subject to location and friendly neighbours!